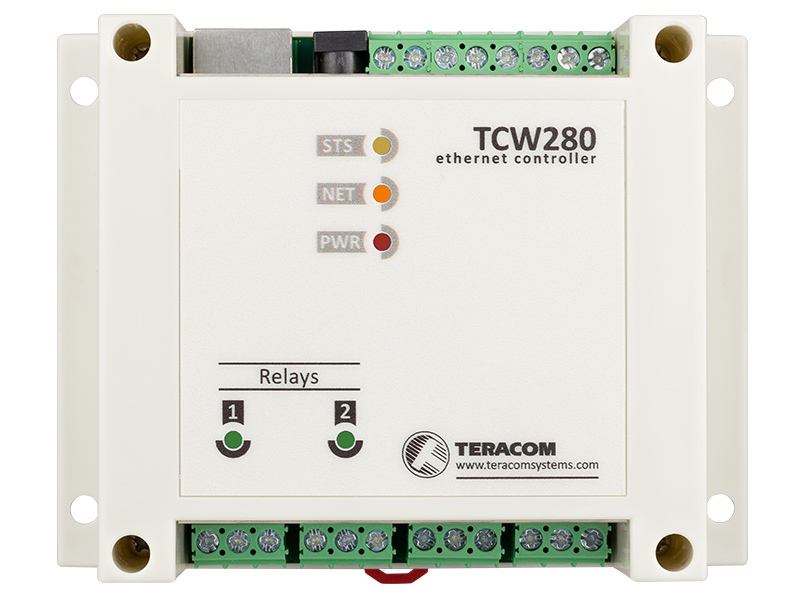 TCW280 is an Ethernet analog output module with galvanically isolated ports. Analog output module supports two channels with voltage or current loop modes. The channel mode is WEB interface configurable. The available choices are – 0-20mA, 4-20mA, 0-24mA, 0-5V and 0-10V. Both channels have 12-bit resolution. The device has 4 open drain outputs. 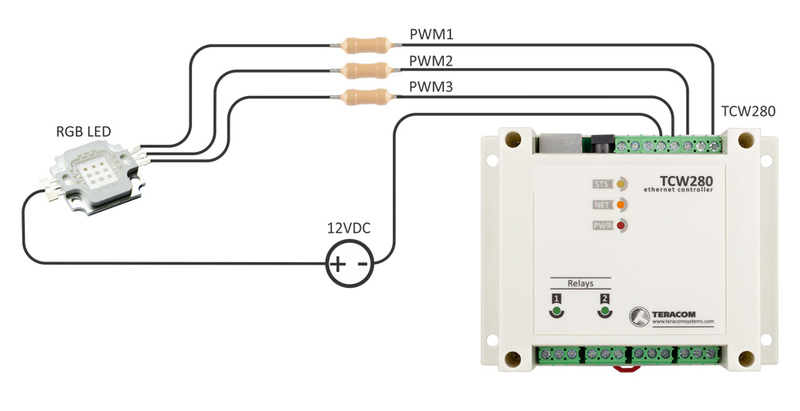 All they are configurable either as standard digital outputs (On/Off) or as PWM outputs. 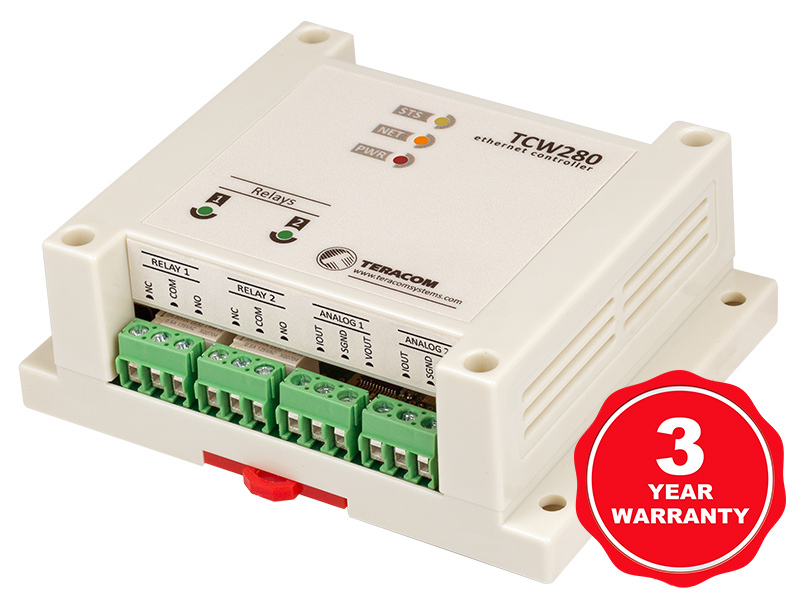 In PWM mode, the outputs supply up to 2000Hz with 10-bit resolution. Analog outputs and open drain outputs are galvanically isolated from the module’s power supply. 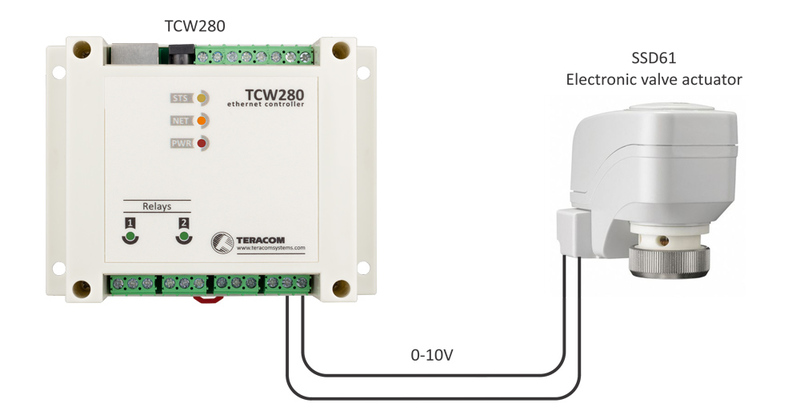 The isolation between the two parts is 1000VDC. 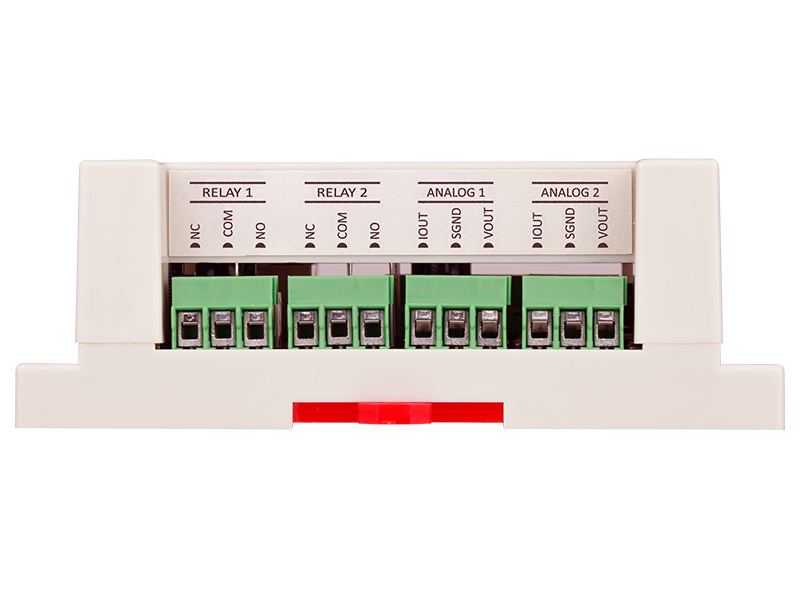 The module has also 2 relays with normally open and normally closed contacts. 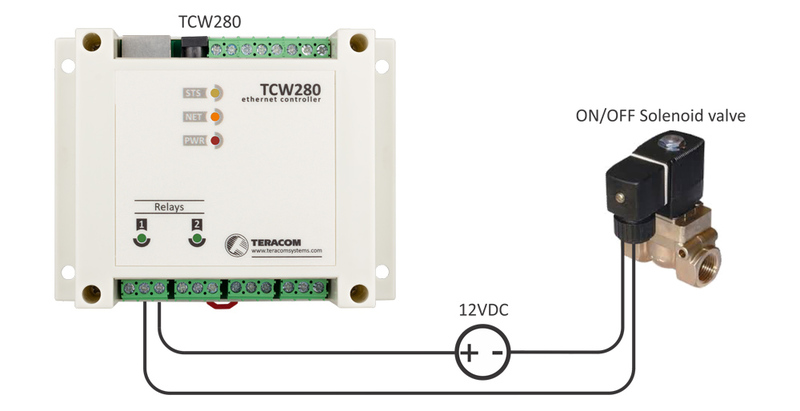 The relays can be activated either through the WEB interface or through some of the supported M2M protocols – SNMP, HTTP API, and MODBUS TCP/IP. The device supports an advanced schedule functionality. The four schedules can be used for single (one-time) or repetitive (weekly) tasks. The resolution of the time period is 100mS. The embedded RTC (real-time clock) together with time server synchronization ensures high accuracy when executing the scheduled tasks. 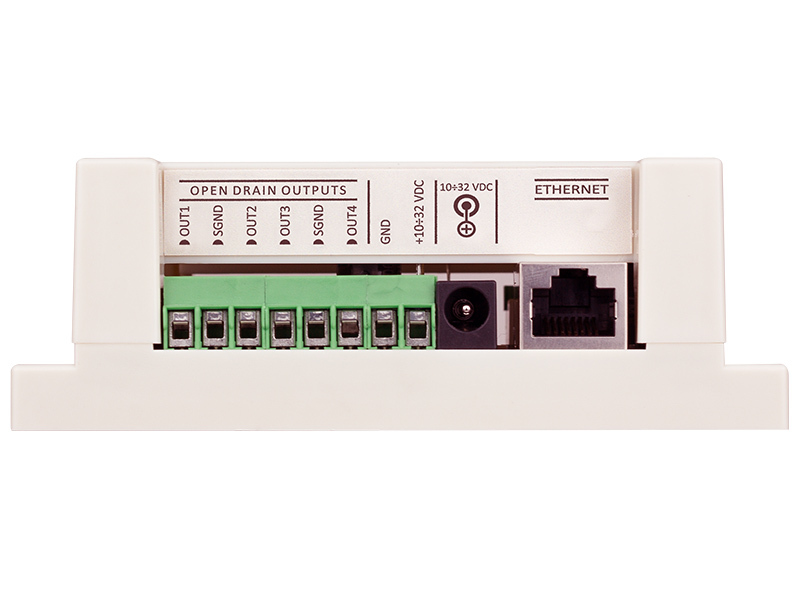 The schedules can activate automatically either relays or open drain outputs. Remote firmware update over the WEB interface. An integral part of small to large SCADA systems.